I have always loved developing new business strategies or ways to make money. Thinking back to my childhood, I can remember dozens of times I would make money in the weirdest ways! I would purchase my peers’ fundraiser candy and then sell it for more, build birdhouses, or even sell the gold from video games that I played. In fact, when I was in 7th grade, I started my first real business: a car detailing company. I had people working for me while I was in school during the day or playing video games (and selling gold from them… gotta learn to stack those incomes)! Or the time I outsourced my high school homework to a friend so I could turn around and resell it to make a profit (ok no one said I was a perfect kid, but I have since changed)! My day job is in technology, so I see tons of new computers in any given month! Who would have thought that you could make money by selling the boxes that the machine comes in? Especially the ever so coveted apple boxes. Could you do a side hustle where you collect boxes somehow? I think this could be a pretty interesting one if you were to team up with some local computer shops or Best Buy. It saves them the hassle of breaking down all the boxes, and makes you some easy cash! Hear me out, this might be the craziest thing I have ever heard as well! But you actually are helping someone in the process. I originally saw this strategy mentioned by Alexis over at fitnancials.com! An organization called OpenBiome is helping people recover from an illness called C. difficile infection. “We are seeking healthy volunteer donors to provide life-saving treatment for people with C. difficile infection. As a reimbursement for their commitment, donors are paid $40 per donation of stool. Can you visit our labs at the BU West T Stop (Boston), Central Square (Cambridge), or Sullivan Square (Somerville) at least 3 times a week for 60 days? Is your Body Mass Index (BMI) less than 30? They will pay you $40/sample with the minimum being 3 days a week that you have to drop it off. It appears on their website that you can only do it for 120 days- the first 60 day period and then you have to get re-screen again to do it another 60 days! Another way to make money in college! If you are a great note taker and are gifted with good handwriting (aka you can read your own handwriting after class), this might be for you. There are various companies that will buy your notes from you, but StudySoup seems to be one of the better ones! Simply apply, upload your notes, and get paid to help others in your class achieve success as well. I actually know a few people in my town that do this on the side, and they make some serious cash! One person takes old teardrop style campers and customizes them into some sweet retro-style campers that sell for thousands! The few other people I know who do this type of flipping typically make them more modern. But the concept is the same. It’s not something that can happen overnight. However, if you can do this on the side and enjoy remodeling (but cannot afford a house flip), this type of side hustle might just be for you. I used to know this guy that would sell jewelry made from deer teeth…you heard me right! 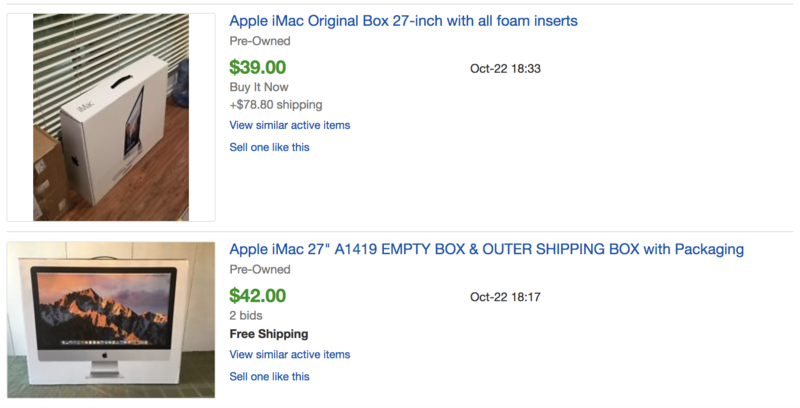 Even more impressive – people actually bought it. Here is a whole store online that takes nature items and turns them into rings, necklaces, or pendants. They then sell them for a pretty hefty price. Maybe you love playing video games or all the things that come with it. Here is a shop that sells soap transformed into various games controllers! P.S. Did you know you could buy a denture ring for $100? Gross…but kinda cool too. If you are in college, you probably know that doing laundry is one of the worst things you have to do (at least it was for me). If you live off campus or just really like folding clothes for some reason, this might be a great side hustle for you. Go to your local colleges and ask if you can partner with them in order to offer services like this company does. Offer to do laundry, clean rooms after parties or before bi-monthly inspection days. You could even offer grocery delivery! I know when I was in college I would have gladly paid someone to come pick up my laundry, clean and fold it, and then return it. Heck, I would pay someone to do that now for me if I could find someone! My room also always seemed to be a popular room to hang out in, so it was constantly trashed. I would have for sure paid someone to clean it for our bi-weekly inspection checks. I actually helped start a company that did this! You can make BIG money if you do it correctly. It is not hard to find a handful of local small business willing to pay you $25-$75 a week to keep their store windows clean. Throughout the summer you can also find house gigs for $350-$700+ depending on house size and the number of windows! While it might not be the most glamorous job, you can listen to podcasts or music while you work. It can easily be done as a side hustle or full-time income. You can even outsource more to other friends while you take a cut! While I am not sure all of these ideas are scalable, I think they show various ways you can make some side money with a little work. If you can do a few of these, all while working your day job, you can pay down that student loan debt or save for a nice vacation with the family! 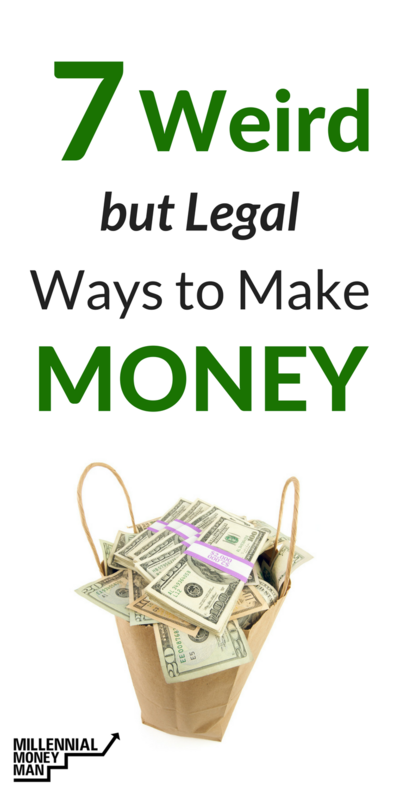 What crazy legal ways have you made money? The Apple boxes seems odd to me. Who normally buys those? I’d be all about the poop though, but not in an area where that program is available. Dude I have no idea to be honest with you – maybe just Apple junkies? It’s also people who resell apple products. Having the boxes increase the value of the product. Even though we sell the boxes sometimes, we actually are the crazy people who buy them. It’s something about an apple that most “home end” customers want a nice shiny box to go with their machine. When you buy things wholesale or through off lease vendors boxes don’t come with. Wow ! This is amazing, you can sell your poop. It’s a legitimate treatment. If you guys haven’t heard the story it was developed out of desperation to help people a few years ago. And apparently now, you can also pay off your college loans doing it. Amazing. I guess the downside is that you can only make 1600 doing it. Then again, someone does own 140 million identities now (thank you Equifax), so I guess they could do it forever! Etsy is a great way to make money! Etsy is awesome, my cousin sells crazy cool homemade wood and metal furniture. But finding the right product to make is always hard. That’s why personally I choose Shopify to do my selling with drop shipping. As I am not the most creative person! So true!! I ran across an article about how Hummel figurines had gone down in value (way down), realized I had a few I would like to unload, looked on Etsy, and sure enough, there were over 200 listed. Even more on e-bay, and way cheaper. So much for my dreams of retiring on all my knickknacks!! Still, wish the poop one was a larger location base than Massachusetts! Thanks to Alexis for opening my eyes to the possibilities! That whole poop thing is pretty funny and crazy what folks will do for money. Really agree on the Etsy thing. With the right product, you can do well. I totally get the poop thing. I worked with someone who got c diff. She had been bitten by a dog, and when they gave her antibiotics to stop the infection, it wiped out all of the flora in her intestines, leaving her body with no way to naturally break things down. She went into kidney failure and almost died. So they did this procedure where they introduced new but hopefully similar flora into her intestines–they got it from her sister. And guess how they introduced it?? Through her nose!!! It’s a procedure you can look up on the internet, because I did. It saved her life.